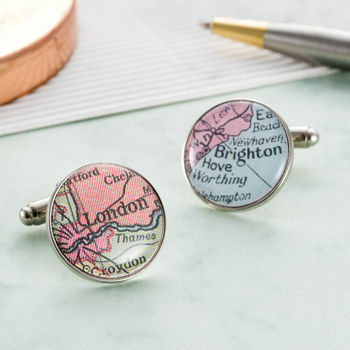 A handmade pair of vintage map cufflinks with locations unique to you. 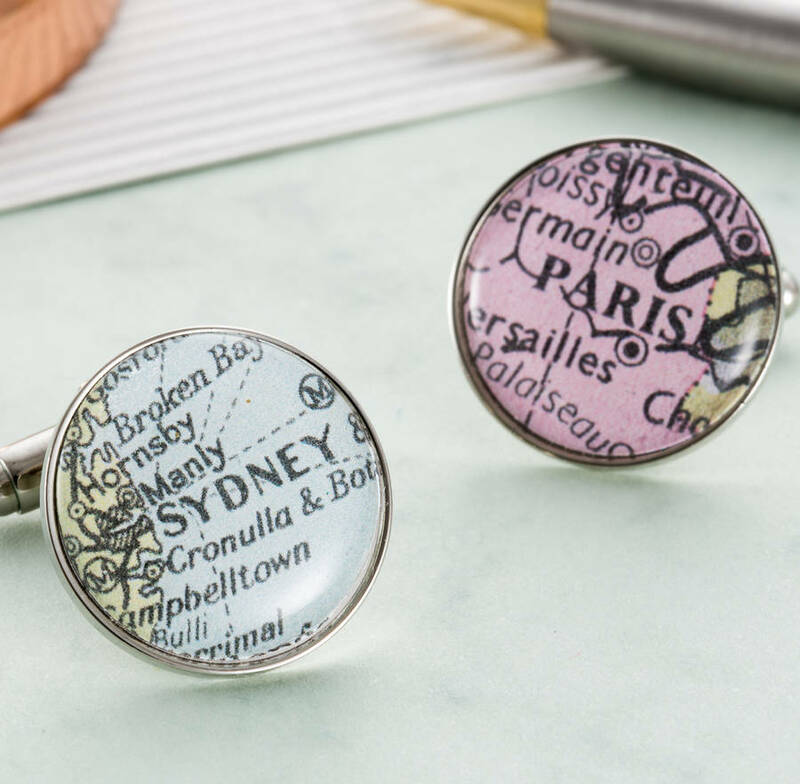 Using a collection of timeless vintage maps, we find your personalised locations and delicately set them beneath a circular dome capturing the very essence of these enchanting atlases. 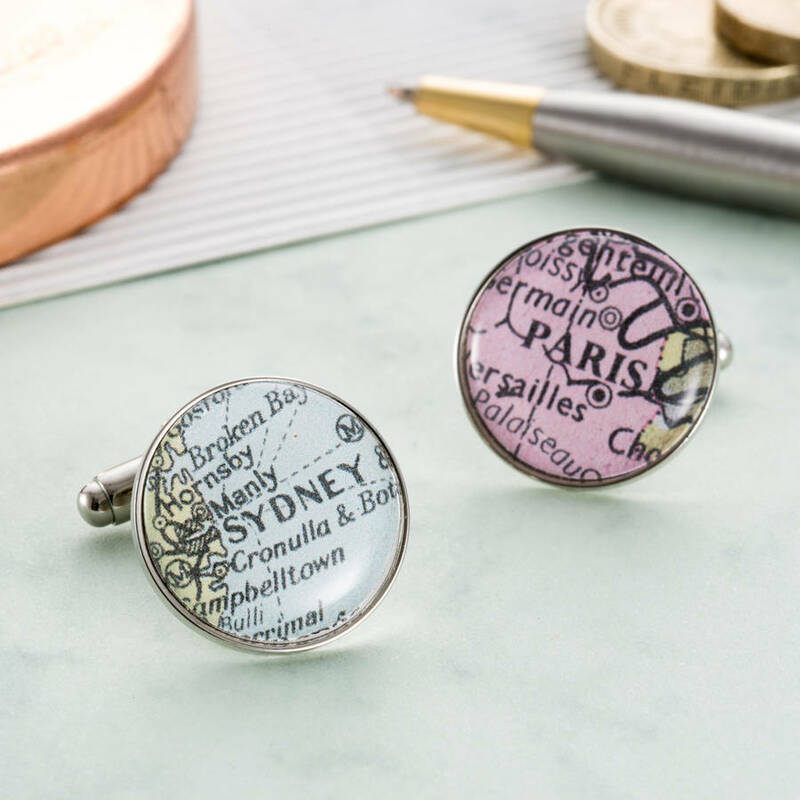 Like a chronicle to your special memories, each cufflink embodies a thousand words whether it shows your wedding venue, birth place, honeymoon or your favourite location in the world. The choice is yours.